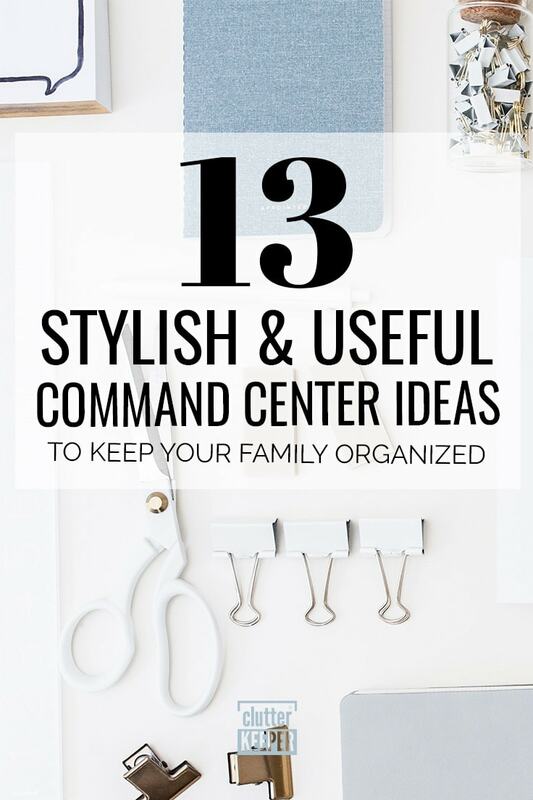 These shockingly simple family command center ideas will help you keep your home organized from the minute you walk in the door. A crisp and clear family command center is easier than you might think. Let’s learn what a command center is, then browse some captivating and envious command centers that you can do yourself in less than a day. Before we dig into the family command center ideas, we have to understand what a command center is. A family command center is one area of your house – probably on a wall or a desk – where you can easily track everything you need to run your home smoothly. What goes in a family command center? Every family is unique. Is your family full of athletes? Then you might need a section to track everyone’s games and practices. Are there multiple drivers in the house? 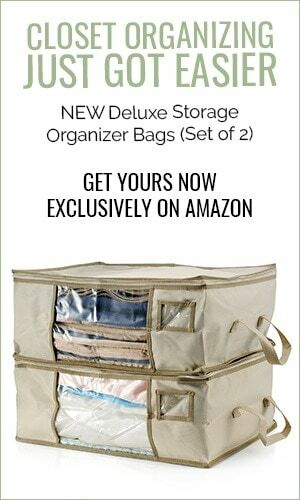 Then you need a place to store everyone’s keys. Decide what your family wants to keep in one place, then find a command center idea from the list below that fits your needs best. Are you ready for some amazing inspiration? All of these family command center ideas are so envious, so incredibly beautiful, you’ll want to hire the bloggers to create them in your house. Thankfully, each command center is easy enough for you to make it yourself. So, here are 13 ridiculously amazing family command center ideas. If you enjoy DIY projects that require hammer and nails (and maybe a saw) then this one is perfect for you. Ana White has a complete tutorial for you. It has plenty of pictures and lots of explanations that are easy to follow. The best thing about this command center is how clear it is. Every person in the family has their own grid, with enough space for notes, reminders, and places to store important papers they shouldn’t forget. This idea from How to Nest for Less puts the command center in the kitchen. Keeping the command center here, above the trash cans, is such a smart idea. How many times do you sort through papers and throw out most of them? Having the trash cans right here prevents you from keeping papers because you think you’ll throw them away later. Putting the command center in the kitchen also puts the menu and shopping lists right next to the refrigerator – which is where all the cooking magic happens. Sometimes, all you need are the bare necessities – and this command center from The Shabby Creek Cottage is perfectly simple. This command center has room for a chalkboard, hooks for keys, a calendar and a clip for important papers. It’s all you need, all on a stunning wood panel. Maybe a simple command center won’t work for you because your life is anything but. Then One Thrifty Chick has you covered. Track everyone’s schedules in one mega calendar that is attached to a cork board. Use clipboards to hold important papers and notes. 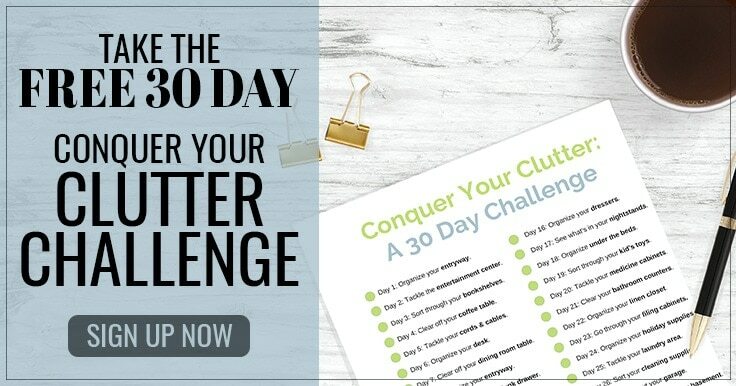 What sets this idea apart from all the others is the gigantic multi-month calendar. Just because you have to be responsible doesn’t mean you have to be boring. That’s why the industrial command center from Love Create Celebrate is so amazing! She shares tutorials for everything you see. The days of the week magnets make menu planning fun (and so pretty). The metal envelopes are what makes this stand out the most. And everything is magnetized, which also allows her to rearrange it whenever she feels the urge. Another idea comes to us from The Happy Housie. If you have a closet you aren’t using, you can make it work overtime as an efficient home command center. Do everything from the desk – pay bills, create menus, and charge your electronic devices. Oh, and with all the space a desk and 3 walls provide, you can paint everything coordinating colors! Hers are an envious aqua that brightens the small space. Next, we go from an entire closet to just a small corner. No matter how much space you have, you can make it work for you. Look at what Hi Sugarplum created in a tiny corner. It has everything you need – slots for each member of the family to store their important papers, a cork board, calendar, and places to store pens and office supplies. Even more useful is the corner floating shelf that can hold pictures or a place to charge electronics. The next idea brings beauty and order to your command center. Take the super-popular gallery wall trend and use it in your family command center. Homemade Lovely created an easy tutorial. She provided links to all the items she used. She used thick, rustic frames that coordinated with the monogrammed letter and clothes-pinned pictures. Everything works together seamlessly. Do you use bright, bold colors in your home decor? Then the next idea is just for you! Take two complimentary colors and find free printables online with those colors for a happy place to make plans for your family. Megan from The Homes I Have Made chose very happy shades of yellow and turquoise. The result is eye-popping! If you look, you might even be able to find coordinating wall decor and file folders that match your color scheme. The next idea from See Vanessa Craft is just for you bargain-hunters. If you shop the sales at your favorite stores, you can combine what you find into one command center that looks like you bought it all together! She used things from IKEA, Target, HomeGoods, Etsy and Hobby Lobby. All you need is a list and the restraint to not buy too many things. Her idea works because she kept it simple with just what she needed and no more. Do you have one of those random tiny walls that you don’t know how to decorate? Turn it into a command center! This is a genius use of space from Jenna Burger. Jenna uses every inch of the wall – from the floor to the ceiling. Everything is neatly in its own place – from the file folders to the clock. Every member of the home has his or her own file folder and there is even a place to hang notes! Don’t let space in your home go to waste, even small walls. If you have a wall beneath your stairs, consider using the idea from Home Remedies RX and make it a useful command center with a desk. Sometimes, the shape of that wall can be such a pain to figure out how to decorate. Begin with a statement piece – like a large chalkboard. 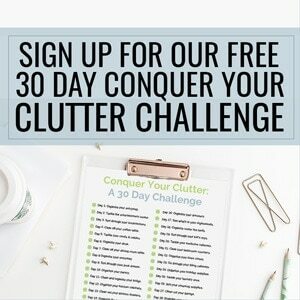 Then, keep adding organization wall decor – like calendars and cork board. Use the desk wisely. Don’t let it be a catch-all for loose papers. Buy a paper divider and become good at throwing away papers that you don’t need anymore. Finally, if you don’t have a single free wall, you can always use your refrigerator. The last idea comes from The Country Chic Cottage. Keeping your command center right on the refrigerator is actually pretty smart. The kitchen is where everyone hangs out all the time. It’s also where all your ideas pop into your head – from what to cook to what you need from the store. A well-organized family command center is so essential to your day-to-day life. Decide what kind of command center you need and then create one and stick to it. You’ll soon be on your way to knowing how to manage your family without stressing out. Ready to tackle the next area in your home. Check out a few of our other organizational posts.